Looking to take part (and potentially win) recognized awards for your agency? Winning prestigious awards, making the shortlist, and even being nominated for an award is a huge achievement. Not only that, but it can add tons of credibility to your agency - and potentially help you to close more client deals. If award submissions form part of your to-do list in 2019, look no further. We’ve done the research for the agency awards you should enter, including their entry deadlines, event details, and previous winners of each title. If you’re in the marketing world, you’ve likely heard of The Drum - as one of the biggest digital publishers, they’re constantly creating content for marketers and agency owners to use and grow their campaigns. You might not have realized they have their own agency awards. Marketing Agency of the Year (<100 Staff): Previously won by Teamspirit. Client Service Team of the Year: Previously won by Croud and Space and Time Media. Marketing experts like Gaele Lalahy (Head of Brand Communications at Panasonic UK and Ireland), Ant Hill (Head of Creative Agencies at Google UK) and Joby Russell (CMO at Purplebricks) were amongst the judge line-up for last year’s Agency Business Awards ceremony. You’re in the company of industry experts… But you’ll need to work hard to impress! Entry details and pricing: To be announced. Register your interest here. Awards ceremony: Exact date to be announced, but the event is usually held in London mid-November. Deja vu? Don’t panic - this isn’t the same award repeated. 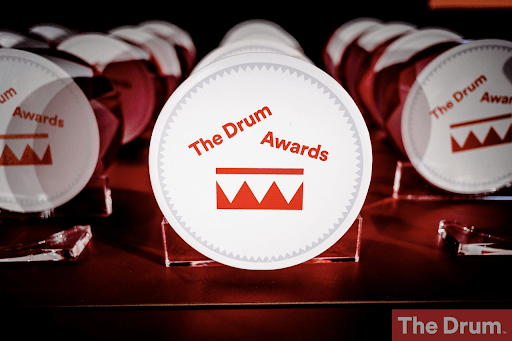 The Drum run a whole host of marketing awards, including their Recommended Agency Awards. But this one is a little different than the others on this list. Grand Prix (100+ Staff): Previously won by The Big Group. Grand Prix (40-99 Staff): Previously won by LOVE. Grand Prix (Under 40 Staff): Previously won by BURN and TMC Strategic Communications. Media Buying: Previously won by Space and Time Media. Public Relations: Previously won by Wyatt International Ltd.
Events: Previously won by Maynineteen. Entry details and pricing: To be announced. Awards ceremony: Exact date to be announced, but the event is usually held in London in June. Are you trying to change the industry for the better by driving change for your clients and crafting unique campaigns? You’ll need to enter the Campaign Media Awards - a ceremony that celebrates agencies and media owners who stay ahead of the ever-changing media industry. Judges for the Campaign Media Awards include Caroline Foster Kenny (CEO, EMEA, IPG Media Brands), Rob Pierre (CEO of Jellyfish) and Charlotte Emmerson (CMO at Jungle Creations). Agency Team of the Year: Previously won by Discovery at PHD. Product Innovation - Media Owner: Previously won by Google for their Skyscanner dynamic native solutions campaign. Best Social Strategy: Previously won by Wavemaker for their ‘Voxi’ campaign with client Vodafone to target the under-25 market. Early bird entry deadline is 15 January 2019 (£375+VAT). Extended entry deadline is 22 January 2019 (£475+VAT). Awards ceremony: March 27th, 2019 in London. Have you seen supersonic growth over the past few years? If you’ve tripled in size, hired a bunch of new staff or landed lucrative contracts, you might earn a spot on Deloitte’s UK Technology Fast 50. Granted, this award isn’t specifically for agencies - it’s a rank of the fastest growing technology companies in the UK, calculated by “leading intellectual property and based on revenue growth over the last four years”. Impression (position #30), with 949% growth. Kaizen (position #38), with 712% growth. The Lead Agency (position #39), with 662% growth. Entry details and pricing: Your agency must be UK-based and have a current year operating revenue of at least £885,670. Submission forms for 2019 yet are to be announced. Awards ceremony: Exact date to be announced, but usually held in London in November. 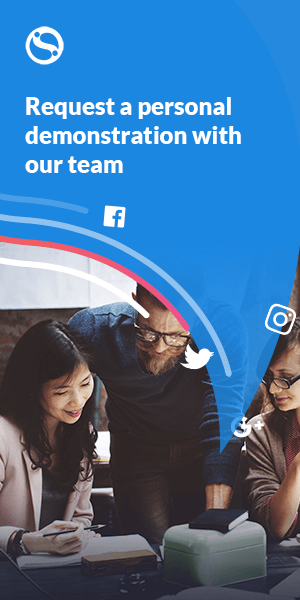 Does your agency specialize in social media services? The Shorty Awards, an event created to honor the brands, organizations, and influencers who’re crushing it on social media, will be right up your street. ...In other words, you’ll be in good company when you make the shortlist! Regular entry deadline is February 7th, 2019 ($499). Late entry deadline is February 21st, 2019 ($699). Awards ceremony: May 5th, 2019 in NYC. 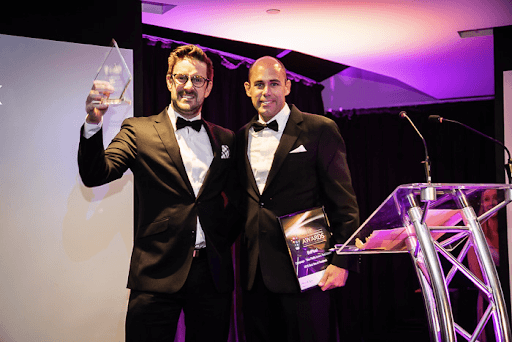 A social media award run by the team at Social Media Marketing Institute, the Social Media Marketing Awards is another fantastic event to add to your schedule next year - particularly if you’re an agency focusing on social media, and have clients in Australia or New Zealand. The event is judged by industry experts like Tolga Balabaner (Creative Strategist at Snapchat) and Jan Hofmann-Cassaini (Client Solutions Manager at Facebook). Most Innovative Use of Social Media: Previously won by Social Butterfly Marketing. Social Media Marketer of the Year: Previously won by Joanna O’Connor. Best Social Media Agency of the Year: Previously won by Socialites. I’ll bet either of those titles are bound to impress your target clients, right? Entry details and pricing: Entries open on January 15th, 2019 and close April 24th, 2019. Awards ceremony: August 15th, 2019 in Sydney. The UK Social Media Communications Awards are open to corporate, creative, design, marketing, media, PR and advertising agencies, based in the UK. They’re designed to “recognize and reward individuals, companies, and organizations that are using online platforms in fresh and innovative ways”. Best Use of Social Media in a Crisis: Previously won by UKTV during the Virgin Media blackout in 2018. Low Budget Campaign: Previously won by Cubaka in 2018, for their “Man vs. Horse” campaign for client Whole Earth Foods. Best Audience Engagement Campaign: Previously won in 2018 by Weber Shandwick, for their “Screw it Let's Do it” campaign with client Virgin. ...making it a fantastic option for smaller agencies who don’t have huge clients, but still do fantastic work. Experts in the marketing industry make their way onto the judging panel, too - including Paul Morris (Head of Performance and Planning at Tesco), and Olga Andrienko (Head of Global Marketing at SEMRush). Awards ceremony: Exact date to be announced, but usually in London in November. If you’re open to clients in Europe, it’s worth taking a peek at the The European Search Awards. Although the majority of these awards are for agencies in the SEO space, there’s still a range of Agency Awards, where judges will consider a variety of things a successful agency needs. Previous winners of the Agency Awards include Wolfgang Digital, Mabo Media and Semetrical. 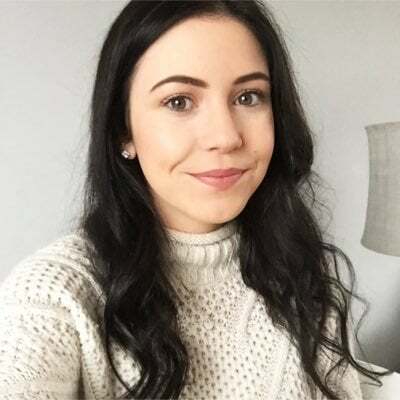 And as far as the judging line-up for 2019’s award ceremony goes, you’ll need to impress the likes of Georgina Bell (Performance Media Manager at Asda), Liang Chen (Head of SEO at Premier Inn), and Luis Navarrete Gomez (Global Head of Search Marketing at The Lego Group). First closing date is March 1st, 2019 (£125+VAT). Final closing date is March 8th, 2019 (£175+VAT). Awards ceremony: June 20, 2019 in Budapest. Have you expertly handled a PR campaign, and skyrocketed your client’s brand awareness as a result? You could be the perfect candidate for the PRWeek Global Awards. Campaign of the Year: Previously won by Mastercard for their Girls4Tech campaign. Global Professional - In-House: Previously won by Aedhmar Hynes, CEO of Text100. Best Influencer Marketing Campaign: Previously won by Ketchum and VML for Wendy’s #Nuggs4Carter campaign. You’ll need to make an impression on Kevin Akeroyd (CEO at Cision), Stuart Smith (Global Leader of PR and Influence at Oglivy), and Torod Neptune (VP of Worldwide Communications and CCO of Lenovo), who form the judging panel for this year's event. Entry deadline is Jan 17th, 2019 (£375+VAT). Late deadline is Jan 31st, 2019 (£510+VAT). Awards ceremony: May 19, 2019 in London. The Bulldog PR Awards prides itself on being “the only PR awards program judged exclusively by journalists” - making it a fantastic option if you’re working hard to generate incredible media coverage for your agency’s clients. Best Use of Social Media: Previously won by Rogers & Cowan for their “Dinner with Don” campaign. Best Viral Campaign: Previously won by ICR for their “Gut Check: Dad Bods Rule” campaign. Best Campaign on a Shoestring Budget: Previously won by Ogilvy Public Relations Sri Lanka for their “Uncover the Truth” campaign. The winners of Bulldog PR Awards are decided using a points-based system. Categories range from goals and objectives to results and execution, with a maximum of 40 points being up for grabs. The more you get, the more chance you’ve got at winning! Awards ceremony: To be announced (sign-up here to be notified!). Previous winners of a Digiday Content Marketing Award include Coca-Cola, Refinery29, Havas and The Wall Street Journal. And, just like the other agency awards listed here, judging for this ceremony is tough. A handful of experts making the judging panel include Toni Jones (Head of Marketing Strategy and Retail Operations at Groupon), Andrew Sirotnik (Co-Founder and CEO of Fluid), and Liz Anderson (Senior Communications Manager at Capital One). It’s a tough award to win, but definitely worth it! Awards ceremony: To be announced, but usually in NYC in May. The UK Agency Awards are open to all creative, design, marketing, advertising and media agencies. The only requirement is that you’re based in the UK (and of course, do great work). Best New Business Campaign: Previously won by Nuuk Digital, for generating over 1 million pre-orders for a stereo system nobody had ever heard of. Best Agency Culture: Previously won by TIPi Group. Most Impressive Small Agency Growth: Previously won by Bring Digital. Judging for these awards is run by leading in-house professionals from some of the biggest UK-based brands. And, it’s one of the only awards of its kind to determine winners in-house - meaning your entry won’t be seen by any other agencies. Awards ceremony: To be announced, but usually happens in September in London. (Sign-up here to be notified!). Whether you’re looking for some recognition for your campaigns, to showcase how you’ve used agency-specific marketing tools, or show off your expertise, adding an agency award win to your website is bound to impress potential clients. You’ve done all the work - now it’s time to start entering! Elise Dopson is a freelance B2B marketing writer who helps businesses generate results through online marketing. When she’s not writing, you’ll find Elise curled up with a great cuppa tea … she is English, after all!